The Mazda Miata is one of the most fun cars to drive. We’re not the only ones that think so: it’s the best-selling two-seater convertible in history! It also won “Car of the Year” from Wheels Magazine in 1989, 2005, and 2016 (the first years of the NA, NC, and ND generations), and it’s made Car and Driver’s annual “10 Best” list 17 times. But if you’re like us, this sort of greatness is never enough. There are ways to make the Miata even better! 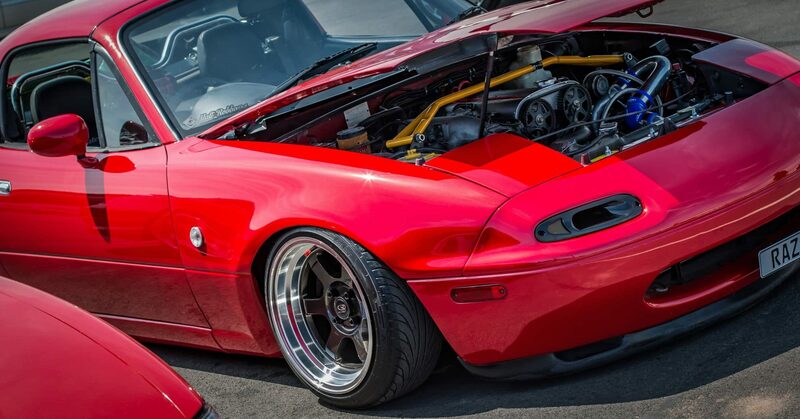 This guide will walk you through (what we think are) the best Mazda Miata mods out there. The Mazda Miata is known for being fast around corners, making it a lot of fun to drive. But if you want an even better driving experience, there’s still room for improvement here. There are tons of modifications you can do to improve your Miata’s handling. While wheels and tires come into play here, the most common handling upgrades are to the suspension. Stiffening your car’s suspension will generally make your MX-5 handle better (to a point). There are many ways to do this. Upgrading your suspension to coilovers might be one of the best bang for buck modifications you can make to a Miata. Sway bars will prevent the body roll and help your car to handle flatter (or lose traction, if you’re into that type of thing). The list goes on. Below we’ll walk you through some common suspension upgrades. Among our circles, lowering springs are generally considered Miata cosmetic mods. They get your car lower to the ground, which is usually the first exterior modification that most car enthusiasts will do. 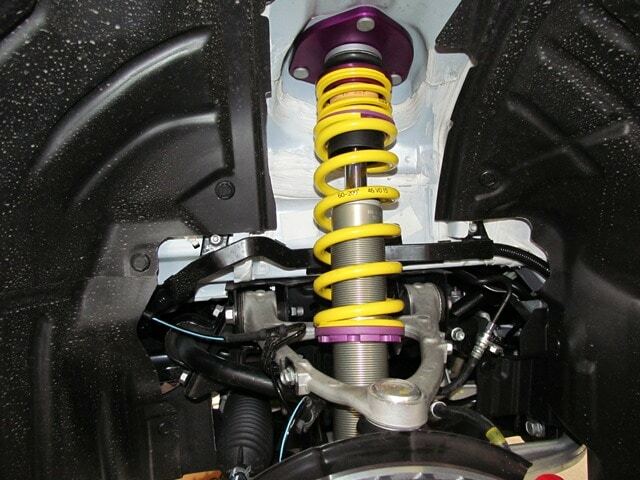 Lowering springs are different than coilovers because they work with your existing shock absorbers. Unlike with coilovers, you won’t be replacing your entire suspension. But even though they aren’t as good as coilovers they will generally help your Miata to handle better, so they’re still a win-win. correctly matched shock valving and spring rates can help your Miata to give a more comfortable ride, while performing better. Not all coilovers are built for every generation of Miata. Below you’ll find some cheap coilovers that we’d still be confident installing in a daily-driven car. If you care about comfort however, finding some extra cash to spend on a better quality set of coilovers is a good decision. 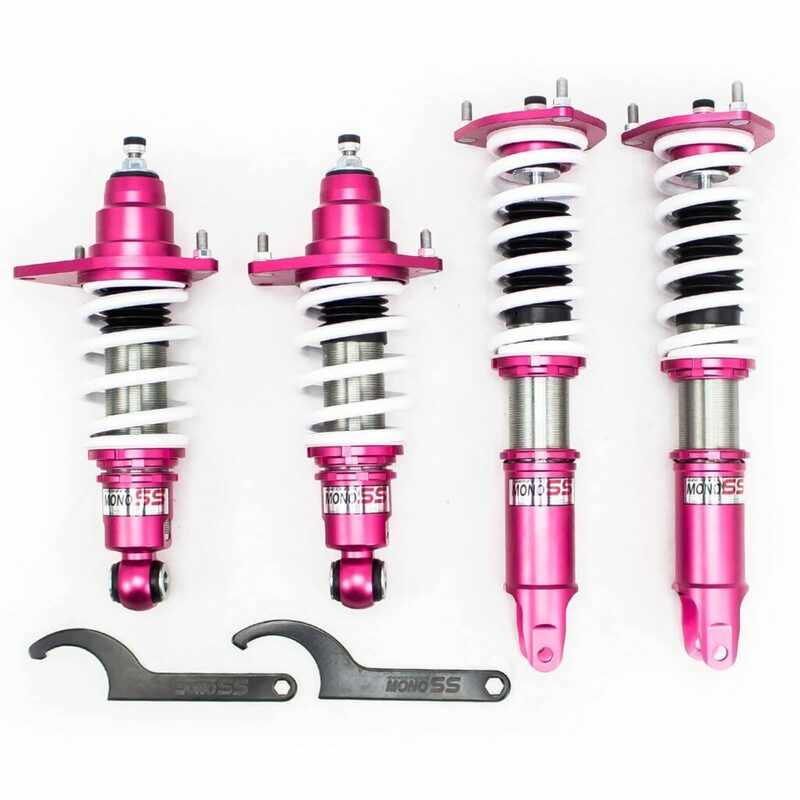 By spending that bit more on coilovers that are designed for street driving, you’ll get coilovers with better-matched spring rates and valving. If you are planning on tracking your Miata, you’ll probably want more adjustability and slightly higher spring rates. Generally, most Miata owners we know still like being able to drive their car on the street (and often to/from track days). Usually we find, anything more aggressive than these and your Miata is becoming a purpose built race car. A sway bar is also known as a “stabilizer” or “anti-sway” bar. 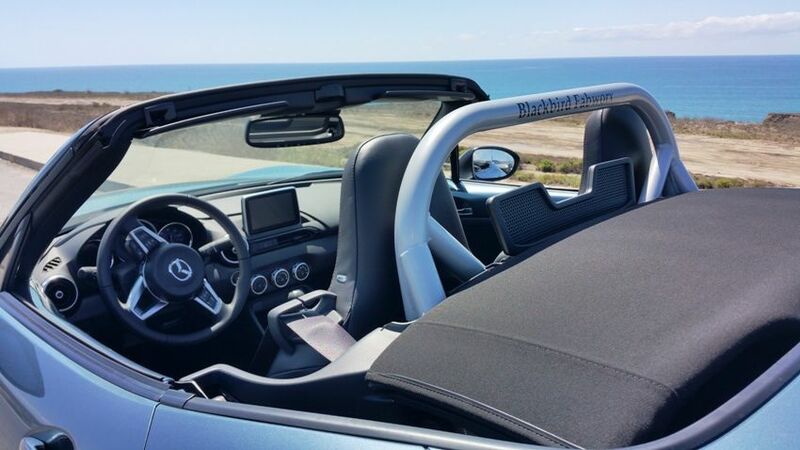 In some regions, they can also be known as “roll bars”, but we usually reserve that term for the sort of roll bar that protects you in the event of a crash. Sway bars connect the suspension of your Miata to the body of your car, reducing “body roll.” The stiffer the sway bar, the less roll will occur. 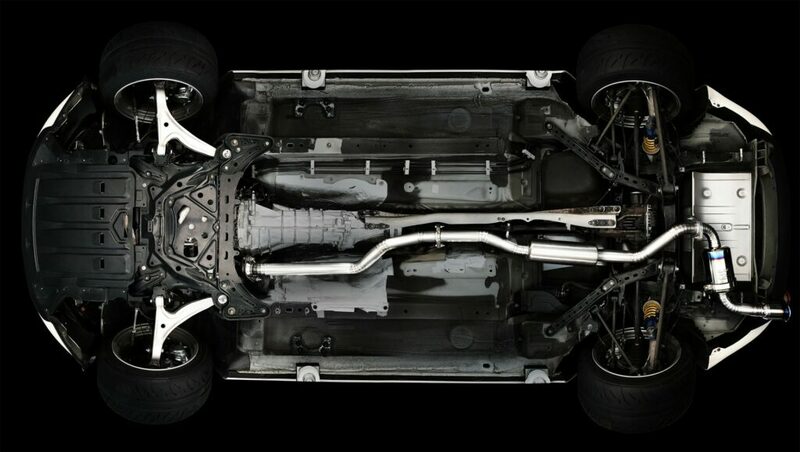 Strut bars, or a “strut tower brace” is a bar that connects to the top of either the front or rear strut towers, making it so the chassis won’t flex as much during cornering. Your Miata’s chassis will be more rigid, which helps with handling much tighter. If you’re doing any track time or really giving it (on closed roads) in the mountains, they’re a worthwhile modification. Only really needed if you’re doing serious track time, chassis braces are as close to “full race build” as it gets before you have a custom cage installed and your chassis seam-welded. Also known as a “subframe brace”, these have also become really popular among the drift community. You’ll often see these painted bright pink or green, because racecar. With age, the rubber in the suspension bushings of your Miata will break down, allowing more movement of the control arms. This will make your handling sloppy. This is going to sound a little crazy, but multiple Miata owners we knew suggested trying out a set of CravenSpeed Door Bushings (fits all generations). They claim there’s a difference made to structural rigidity. Whether or not they actually do, we don’t know, but they certainly reduce rattles throughout your car. It’s an easy Miata mod under $100, so we figured it was worth a shot. The camber is the lean of your car’s wheels either toward or away from the car’s chassis. Zero camber means your wheels are set up straight up and down. If the top of the wheel is leaning in toward the Miata, this is negative camber. If the top of the wheel is leaning away from the car, this is positive camber. Negative camber allows your wheels to flatten out when cornering. This increases corner grip. Camber arms are most commonly needed in the rear end of a Miata, but some people do need that adjustability in the front end too. A suspension control arm, or A-arm, links the suspension between the chassis and the hub that carries the wheel. Control arms can also carry the suspension load of your Miata and transmit them to the spring or shock absorbers. Upgrading your brakes is one of the best mods you can do to enhance performance and handling. Nothing gives you more confidence than knowing that you can jump on the brakes and make that next turn. There are plenty of ways to modify your brakes, from just upgrading the brake pads to installing entire big brake kits. Obviously the price can really increase here, making them expensive modifications. It really just depends on what you’re trying to accomplish. You need to replace your brake pads often, as they wear out. This is the perfect time to get an upgrade in though. Pay attention to differences in the dust your pads are putting out, and the noise of your pads (how much they squeal), to know when it’s time to check for pad wear. Maybe you want to stop on a dime in the shortest possible distance. 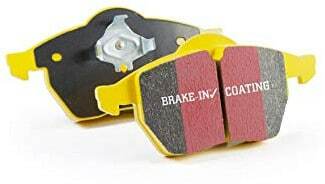 Maybe you need brake pads that won’t glaze over when you’re at the track. Perfect for a street-driven Miata! Your pads are only as good as your brake rotors. Bad rotors means faster pad wear and lower braking performance. So you could say they’re pretty important Mazda Miata mods! A big brake kit or “BBK” is one of the best Miata upgrades for keeping the heat away from your braking system. It won’t make you stop faster, but will reduce the temperature of brake calipers, pads, and fluid. This means you can brake harder for longer before your braking system gets to boiling point (and ideally never does). The oversized caliper of a big brake kit houses an oversized brake pad to increase the surface area of the brake pad hitting the brake rotor. Let’s be honest, the Miata is a light little car, so a BBK is overkill for most situations. Do note that a BBK usually means having to upgrade to larger wheels too. Braided brake hose (or lines) are flexible hoses that fit to a hydraulic brake system. These improve brake function and longevity compared to flexible rubber hoses, as they’re made from stainless steel. Since stainless steel doesn’t bulge like rubber, you’ll get a better pedal feel when braking. If you don’t want that squishy feeling under brakes, these are an important upgrade. Combined with new rotors and upgraded pads they can really transform the feeling of OEM calipers. About every 30,000 miles you should have your brake fluid flushed. Flushing removes all the old fluid from the system and gets new, clean fluid inside. Is it a modification? Not really, yet regular servicing is always a great opportunity as far as we’re concerned. When you flush, why not refill with some top-shelf, upgraded brake fluid? You should always match the quality of your fluid with increased demands from your driving and aftermarket braking system. Stock Miata wheels are generally small and light, so it’s a good idea to keep it that way. But there are plenty of Miata compatible wheels that are much better than was supplied from factory. Larger diameter and width wheels that are close to standard wheel weights don’t only make your car look awesome, they help improve handling. There are different rims you should consider if you’re looking to race, or just use your Miata as a daily driver. But first, here are the basics. Here are the standard wheel sizes for each generation Miata, including diameter and width, offset, and bolt pattern (PCD). NA (1990-1997): 14×5.5” or 15×6”. +45mm offset. 4×100 PCD. NB (1998-2005): 14×6” or 15×6”. +40mm offset. 4×100 PCD. NC (2006-2015): 16×6.5” or 17×7”. +55mm offset. 5×114.3 PCD. ND (2016-2019): 16×6.5” or 17×7”. +45mm offset. 4×100 PCD. Now that you know each generation’s fitment, let’s show some of the most popular wheels for the MX-5. Some of these are compatible with more than one generation (NA and ND, for instance) but are more appropriate for a certain generation based on the wheel’s size. Generally speaking, you won’t find many wheels in the 14” range, and they’re probably too small anyway. NA and NB Miatas should use 15” or 16” wheels, with higher offsets (between +38mm to +45mm). Though these have different bolt patterns (NC is the only Miata with 5×114.3), both models require generally bigger wheels, which is why they’re categorized together. NC and ND Miatas should use 17” or 18” wheels, with high offsets as well (+35mm to +45mm). Both of these wheels are available in a range of sizes to suit your needs, just make sure to get the right bolt pattern for your Miata! Without a doubt, the RAYS Gram Lights are our favs. These wheels vary in size the most (usually from 15-18”), and come in both bolt patterns required with each Miata model (4×100 for NA, NB, ND, and 5×114.3). This means they can be ordered to suit every generation Miata. Enkei RPF01’s are the classic choice, but don’t the Advanti Racing Storm S1’s look amazing? With suspension, wheels and brakes out of the way, this is the time when people begin to think about safety and the interior of their car. Safety is a serious topic so it’s best you give our guide to Miata roll bars a good read. Don’t let it become an afterthought! Get a roll bar for your Miata already! The other change you’ll probably want to make is a seat upgrade. The snugger you can feel while cornering hard the better, in our opinion! 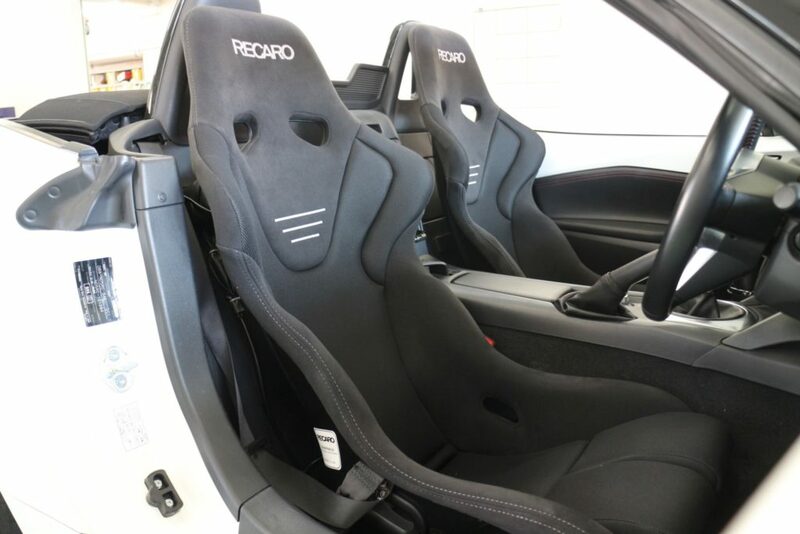 When it comes to more cosmetic mods for your interior though, you might want to look at a replacement steering wheel, short shifter and weighted gear knob. Though they aren’t explicitly for looks, for most people, that is the main concern. Performance modifications enhance your horsepower and torque. If you want your car to go faster, you’re in the right place. There are many ways to upgrade your performance with aftermarket parts, whether that be replacing the air intake, the exhaust system, or the cats and pipes. Cold air intakes allow your engine to breathe better. They position the air filter so cooler air can be sucked into the engine for combustion. Cooler air brings more oxygen into the combustion chamber, which (in theory) means more power. In reality, it means your car will run at a cooler temperature, may be a little bit responsive, and will growl more under acceleration. The Miata is a versatile car, able to handle winding roads, the track, and regular street driving. But it sure was quiet straight off the Mazda production line. A good exhaust will make your car sound amazing, giving it some roar and rumble. The right exhaust will also look great. It will also effect how your car drives on the road, performance-wise. And some will say it could give you some better gas mileage, along with performance gains through more horsepower, and torque. We’re not saying this is untrue – it’s just worth remembering that getting more power out of a naturally aspirated engine is difficult. The Mazda Miata in its naturally-aspirated state, without a turbocharger, runs best with a 2.25” diameter exhaust. Larger than that and it will drone like crazy, and probably lose power. You don’t have to sell the farm to get a new exhaust system (though it’s one of the most significant Mazda Miata mods out there). These cheap exhausts are still good—better than the stock exhaust system. These ones cost a bit more, but they’re usually a much better fit, the sound is great and they give the greatest chance of a performance boost. They also have a nicer finish than the stock exhaust, so to some people they are cosmetic mods as well. Exhaust headers will give you modest performance gains and a better sounding car. They’re popular, even if they are a bit of a hassle to install. Headers tie into the other aftermarket parts that you’ve probably already installed. By installing upgraded headers, you’re making sure there isn’t a performance bottleneck in your exhaust. The Miata’s engine is small, no matter what generation you have. The most a Miata ever came with from the factory (in the US) is 160 HP. You can have a lot of fun with that much power thanks to the Miata’s weight, but eventually we all end up wanting more. While it’s possible to add a VVT (variable valve timing) to the engines missing it, this will only really give you a mid-range bump in power. You could go for a high compression engine rebuild and upgrade the ECU, with something like EcuTek, but let’s be honest here – you’re never going to see crazy power numbers. Or, you could do it right and install a turbo or supercharger kit. When making performance mods, remember that a clutch upgrade is also in order. Your standard clutch will be slipping in no time if you begin to put 300 HP through it on a daily basis. 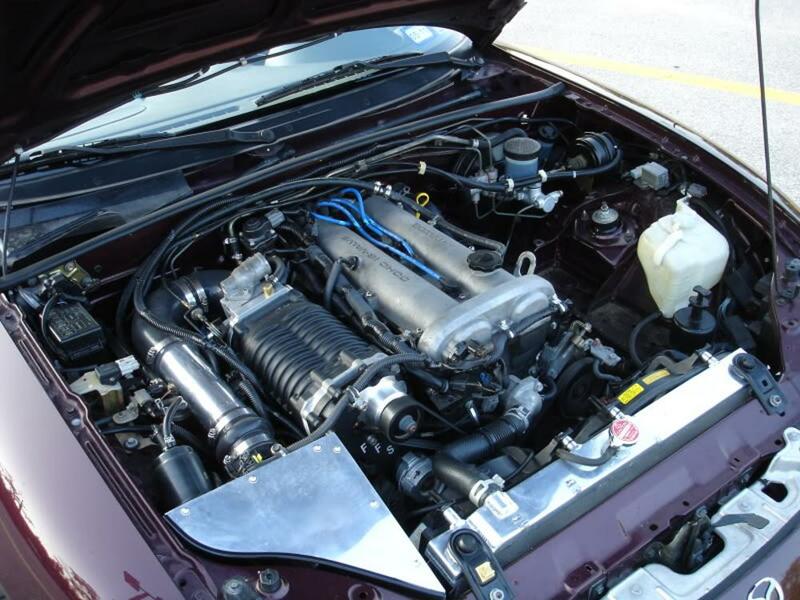 This is a huge topic but if you haven’t heard, doing an engine swap is popular among Mazda Miata drivers. For the most part this is happening in NA and NB Miatas, mainly due to how cheap they are. But as NC and ND Miatas get older and their drivers get bolder, more and more people are trying to see what they can fit under the hood. But the truth is, the OEM engines perform well with some forced induction, either with a turbo or supercharger kit. A turbo kit literally forces air into your engine. It sits off your exhaust manifold and runs off your exhaust gases to create air pressure. A turbo is more efficient than a supercharger because it doesn’t require engine power to spin it. The downside is, high-power turbo conversions are known to be laggy. You can put your foot down but it can take a second or two to really get going. Superchargers are more direct than turbo kits, connecting via a belt to the engine. They’re easier to install than turbochargers, and more efficient. Lucky for you, you’ve picked the right car. There are hundreds of different mods available to Miata owners. These are just some of the most important. Have any must-have upgrades that your want to share with other Miata owners? Let us know by leaving a comment. We’re here to set the record straight on how to modify your car the right way, regardless of your budget. https://low-offset.com is a participant in the Amazon Services LLC Associates Program, an affiliate advertising program designed to provide a means for sites to earn advertising fees by advertising and linking to amazon.com.